Pitching is scary. Sitting down with a relative stranger to convince them that your company is the next big thing is enough to make an entrepreneur sweat bullets. After all, the right pitch can do a lot for the future of a new startup. 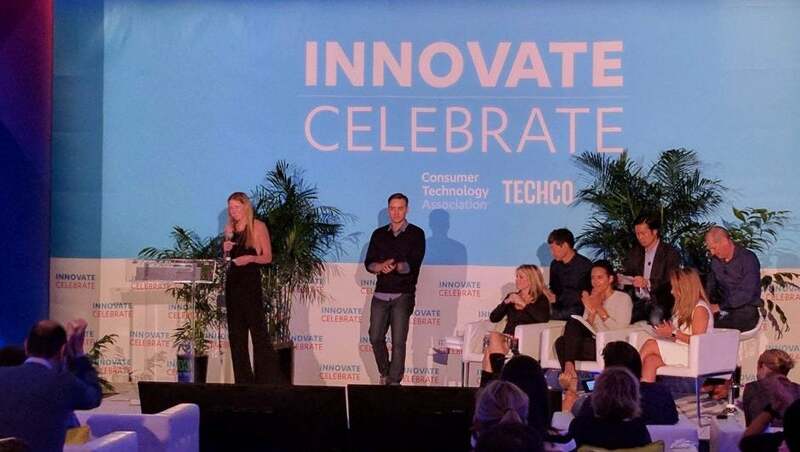 And if you think a private meeting is stressful, imagine pitching in front of the crowd at Innovate Celebrate. Allergy Amulet pitching for a panel of judges in hopes of becoming the Startup of the Year at #InnovateCelebrate ! The Allergy Amulet is a rapid, portable, point-of-consumption food allergen and ingredient detection device that connects to a patent-pending disposable test strip. GoSun Stove pitching for a panel of judges in hopes of becoming the Startup of the Year at #InnovateCelebrate ! GoSun Stove is breakthrough solar technology that cooks like an oven. GoSun is making outdoor cooking easier, cleaner and more accessible around the world. Oska Wellness pitching for a panel of judges in hopes of becoming the Startup of the Year at #InnovateCelebrate ! Oska Wellness is a new health-tech, wearable pain relief device that can help areas of the body prone to injury and degeneration. Pilotly pitching for a panel of judges in hopes of becoming the Startup of the Year at #InnovateCelebrate ! Pilotly is the consumer insights platform that enables content creators to get feedback from target audiences anywhere in the world. Unbound pitching for a panel of judges in hopes of becoming the Startup of the Year at #InnovateCelebrate ! Unbound is the empowering sexual wellness brand for women by women. The ecommerce company is differentiated by focusing on product curation, engaging content, and an exceptional customer experience, all delivered in the guise of a contemporary beauty brand driven by feminist ethos.